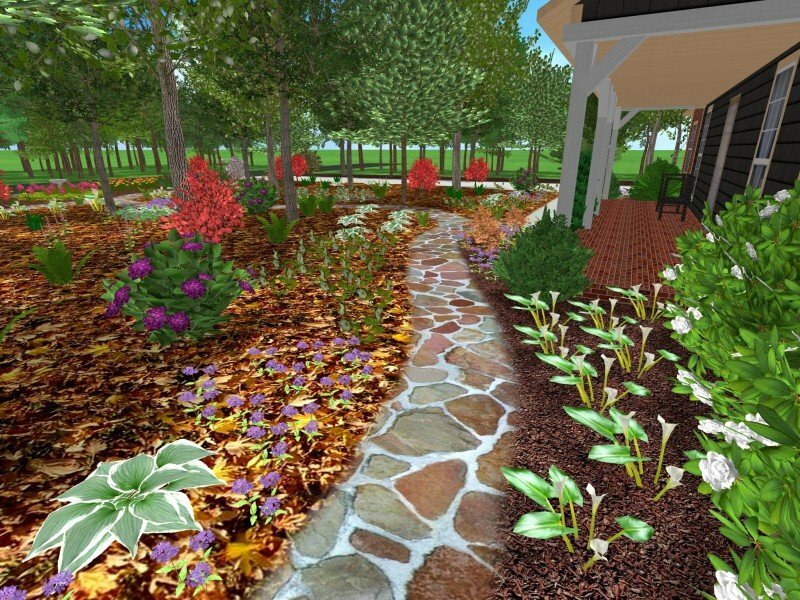 If a picture is worth a thousand words, then how much greater is the value of a three-dimensional model? 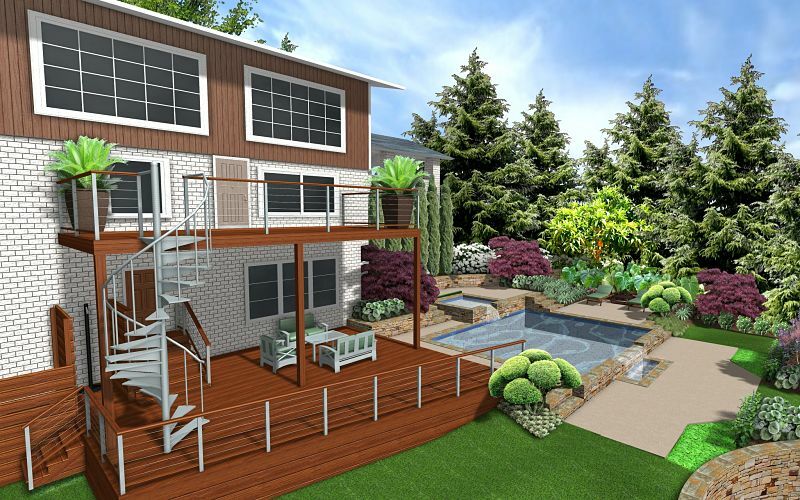 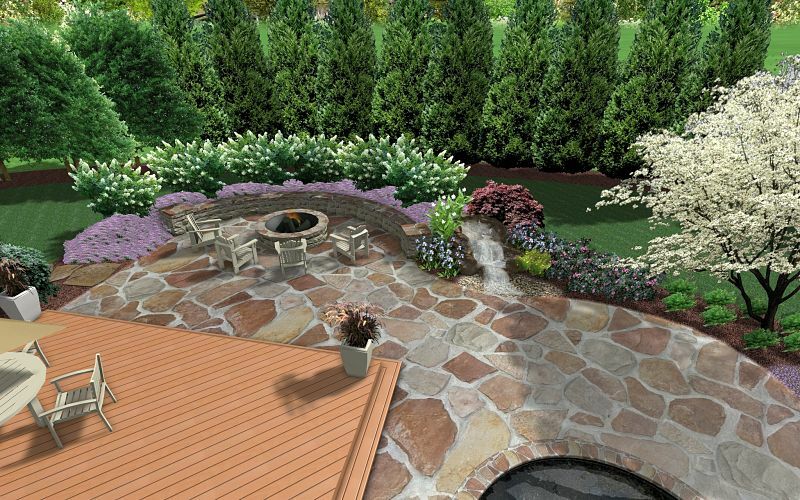 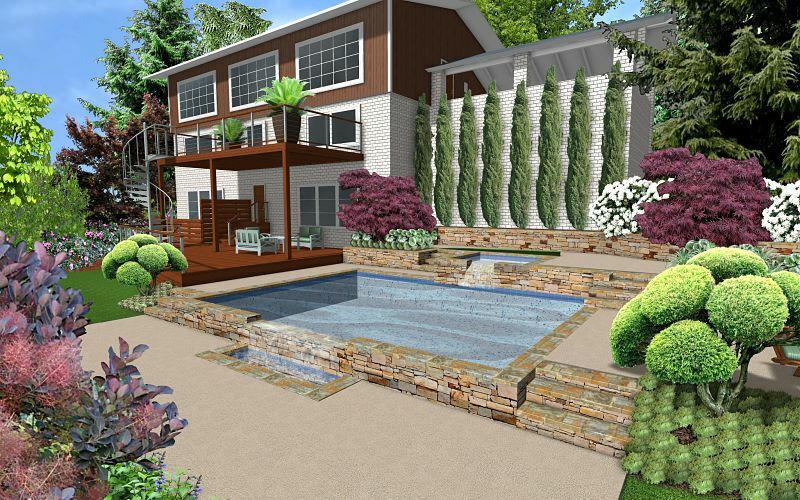 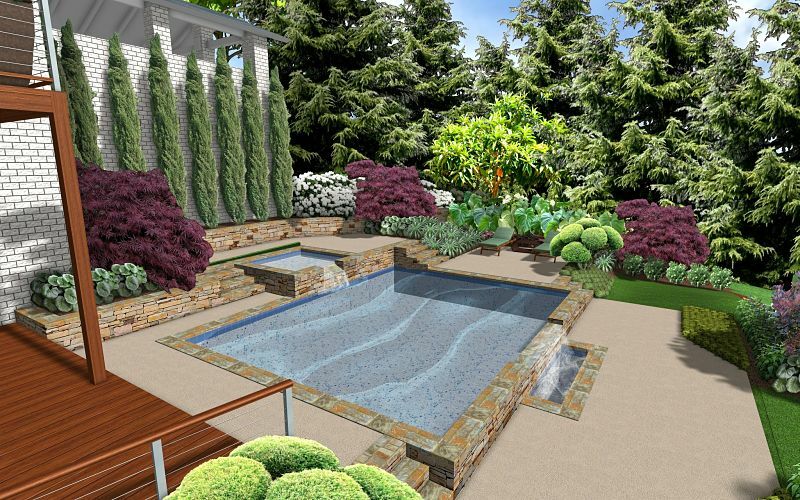 With today's sophisticated computer modeling technology, your entire landscape design can be created not only with lifelike three-dimensional plants and hard structures (houses, walls, patios, etc.) 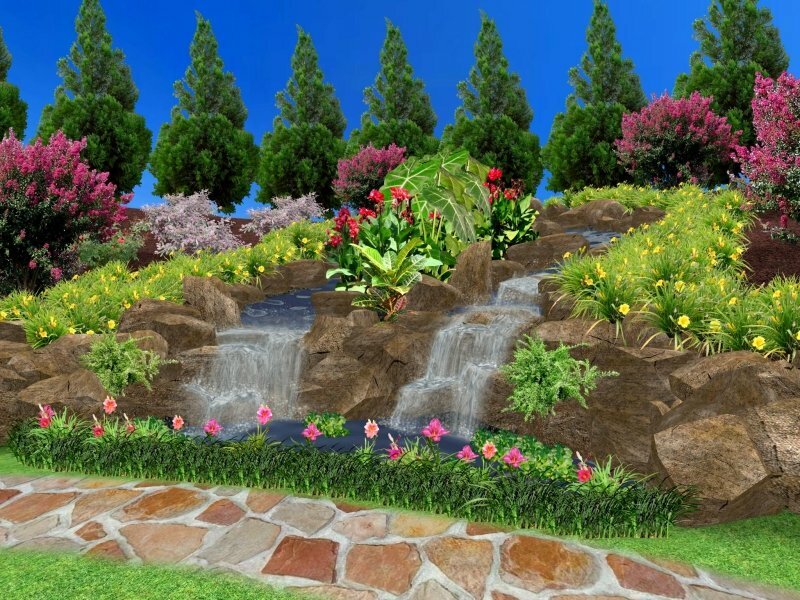 but also with accurate terrain elevations, and realistic light and weather conditions. 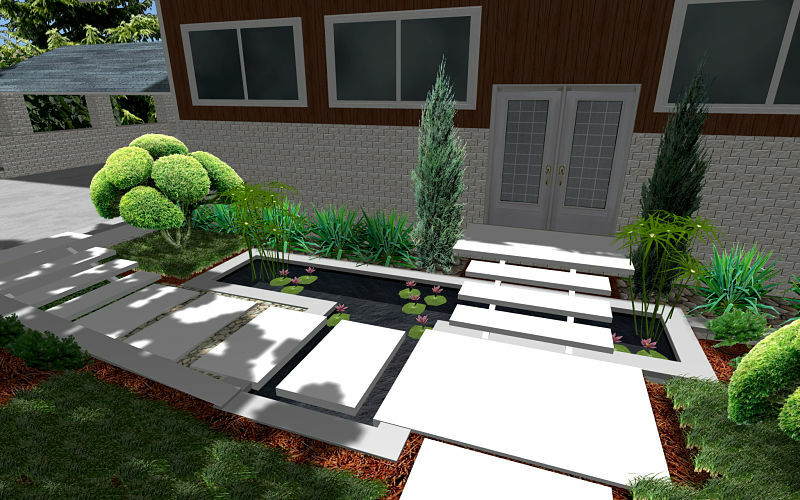 And unlike other forms of design, 3D landscape modeling is not limited to static views of the site. 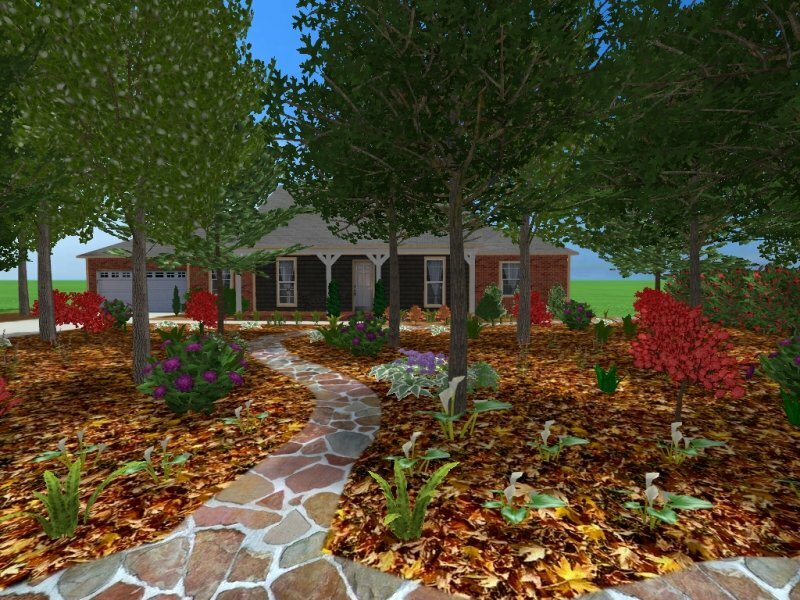 It allows you to actually walk through the finished landscape in "realtime" just as though you were walking around your own property after the landscaping crew had finished! 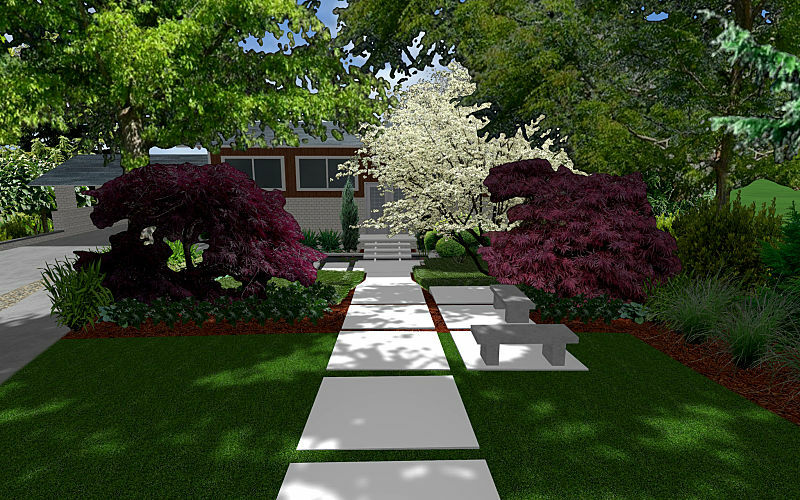 3D landscape modeling is generally more time-consuming and, therefore, somewhat more expensive initially as compared to 2D landscape design. 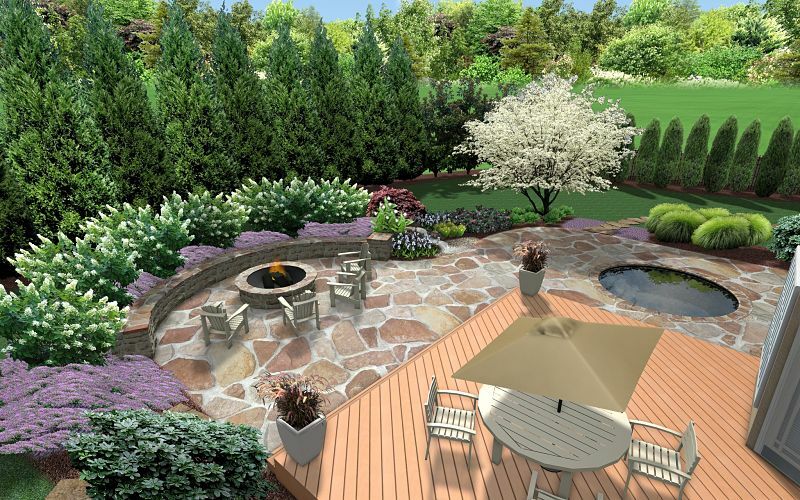 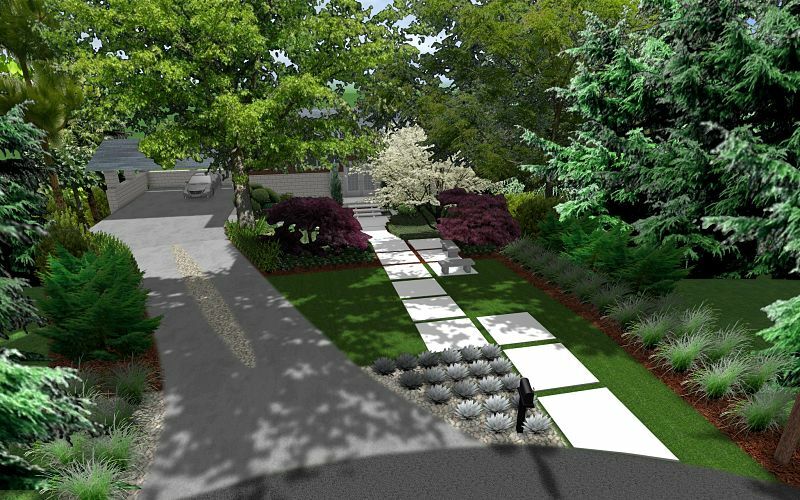 However, because it more accurately portrays the actual landscape and allows it to be viewed from any perspective, it reduces the possibility of error and miscommunication during the design process and allows for all parties involved to scrutinize all aspects of the landscaping plan before it is implemented. 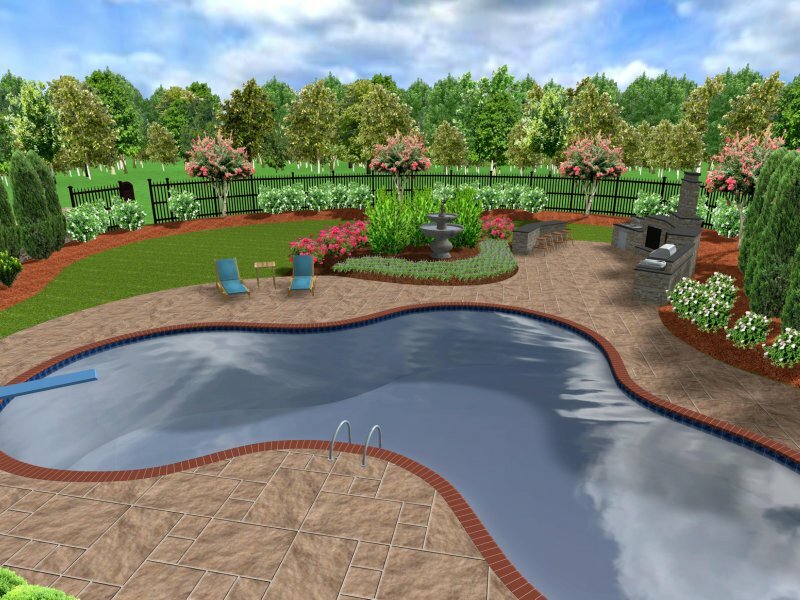 Consequently, the use of 3D is very likely to lower your overall project costs and produce a finished landscape that more closely conforms to your needs and desires. 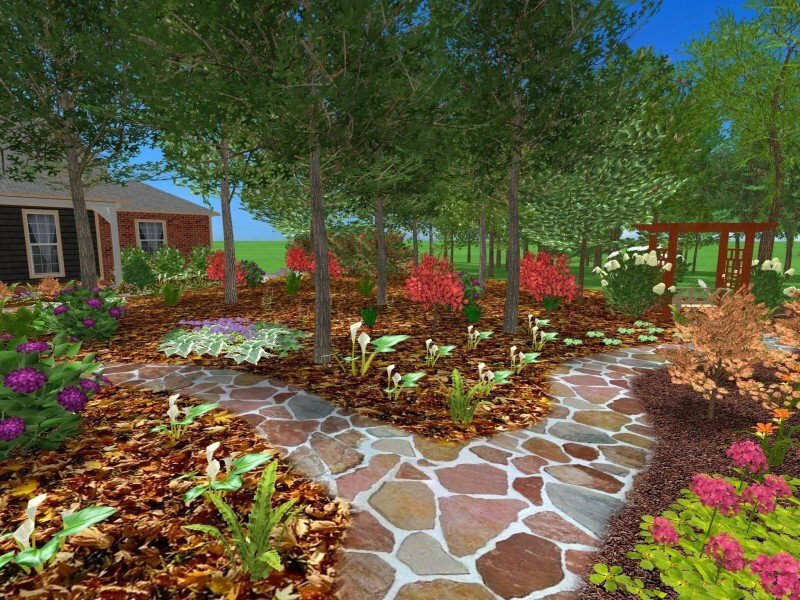 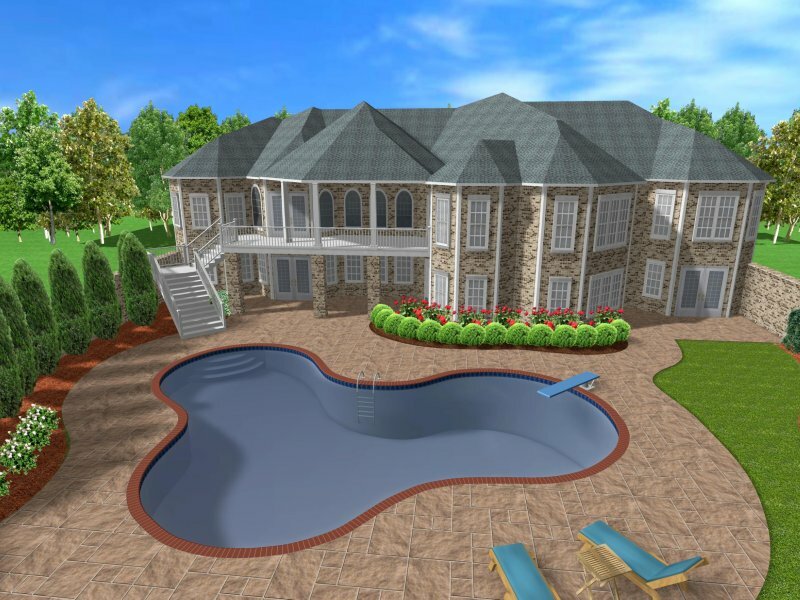 Although 3D modeling is often unneccessary for small projects, for large projects, projects that involve structural additions to the landscape, or ones that require modifications to the existing terrain, it is wiser, in our opinion, to spend a few hundred dollars extra for an accurate 3D landscape design rather than risk errors which could cost you thousands more during installation or require you to accept a finished landscape that doesn't meet your expectations. 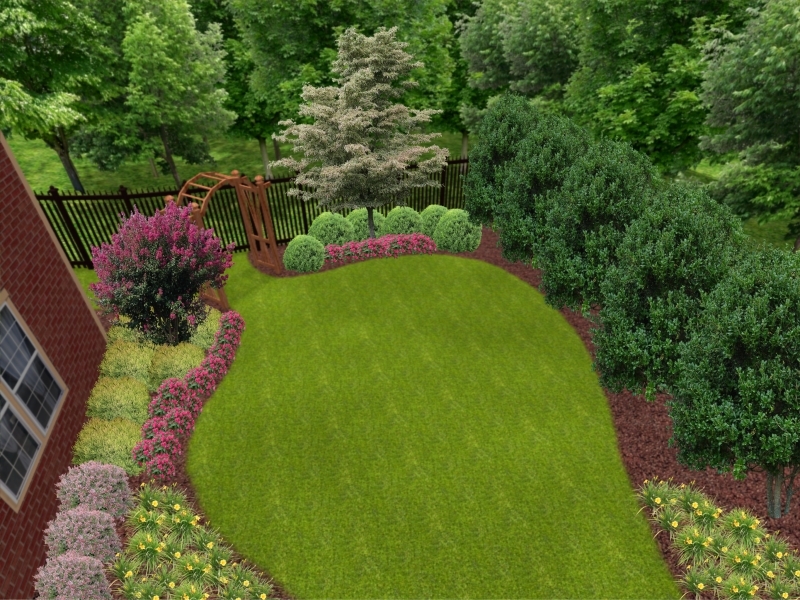 Below are some examples of 3D renderings taken from actual landscape models that we have created for our customers. 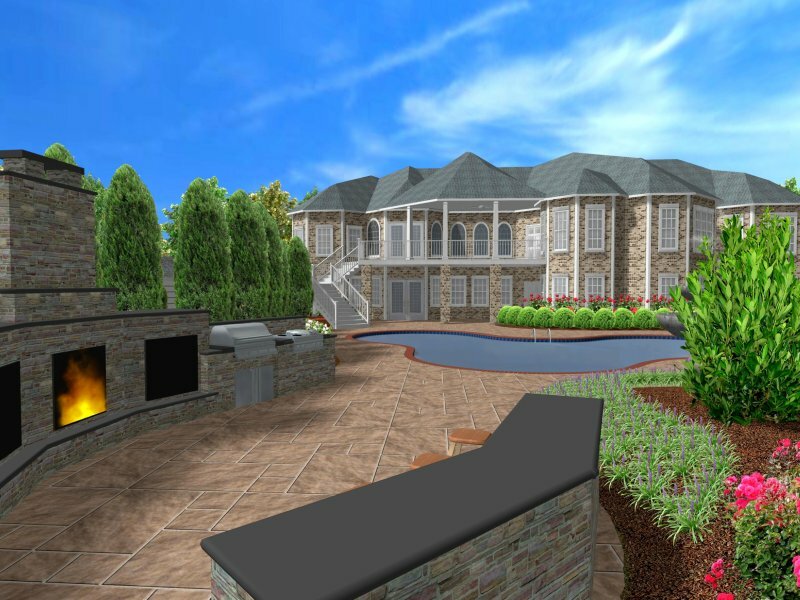 All design services are billed at $75 per hour. 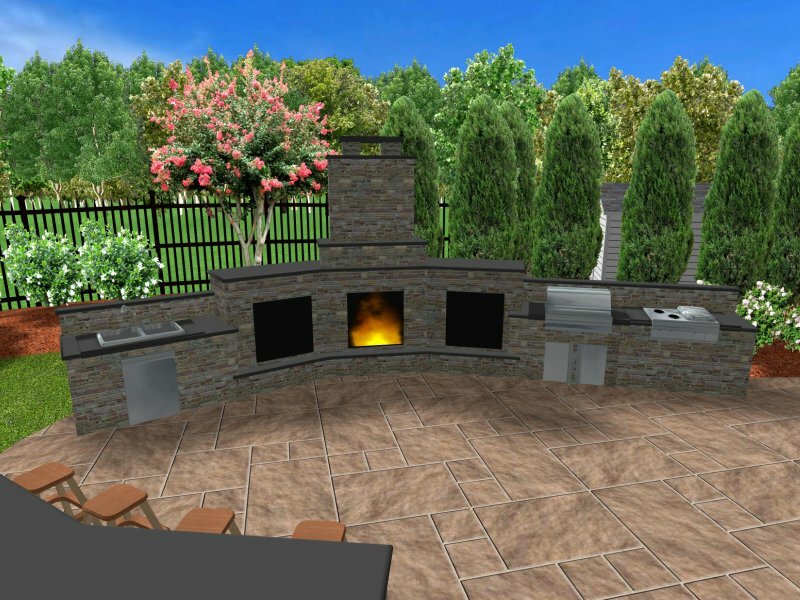 Please browse through the examples below and contact us for a precise quote on your 3D design.